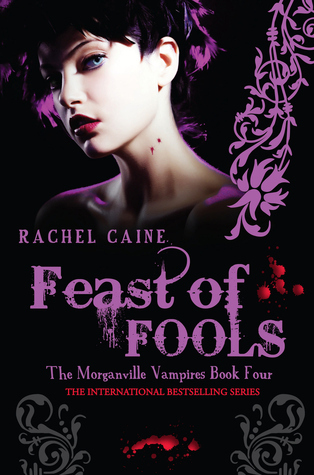 Synopsis: In the town of Morganville, vampires and humans live in relative peace. Clare Danvers has never been convinced, though – especially with the arrival of Mr. Bishop, an ancient, old-school vampire who cares nothing about harmony. What he wants from the town’s living and its dead is unthinkably sinister. I liked this book, but as with Midnight Alley, it just wasn’t my favourite of the series so far. The plot…it was slow in places, I have to admit. But then, in others I really couldn’t stop reading! I just feel so mixed about the entire book, to be honest. The writing…as usual, Rachel delivered! She’s an amazing author, and none of the books she writes will change that. The characters…I liked them all again in this book – especially Shane! I’m also really glad it’s written from Claire’s POV, as she’s the perfect person for the job in my opinion! Something I liked…as I mentioned above, the fact that it’s from Claire’s POV is pretty up there for me. Something I disliked…the middle of the book. I loved the start and the end (so many great cliffhangers), but I just found the midle really…boring.